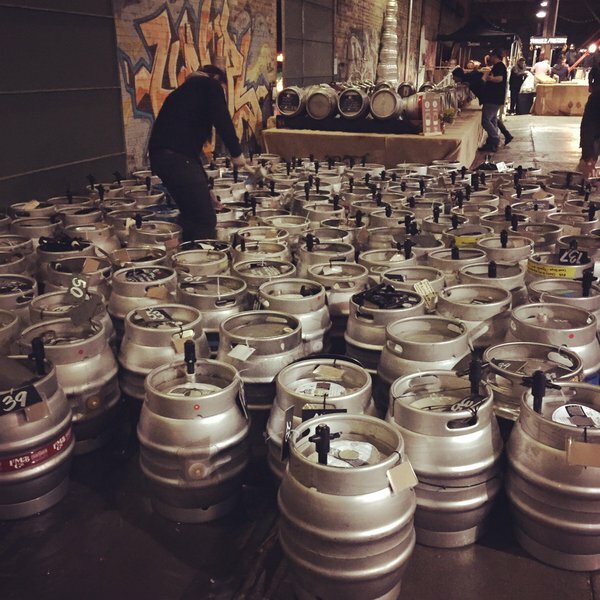 A most enjoyable afternoon was spent at Cask Days annual event at Brickworks in Toronto yesterday. This multi-session event is always best attended IMO earlier in the weekend, as the beer choice is more complete (some kegs run out by Sunday especially this year as none were held in reserve). However, no one can complain with something like 200 firkins as a start-off, from some 360 to start. I had some good beers from B.C. and Alberta, pale ales and bitters notably, also black IPA. Washington State too was still well-represented yesterday, and New York. I had three ESBs from different countries and none particularly impressed, but that can happen anywhere at any kind of beer event, it’s luck of the draw and of the moment. There seemed less pumpkin beers this year, even at opening of the first session, which I think reflects a trend in the business. E.g., there are fewer at LCBO than in previous years. I like pumpkin beers and would hope there would be more next year. The prevalent style seemed to be IPA with a wide variety of styles – e.g. pilsener, sours, stouts, saisons, wheat or weizens – in lesser number. Event organization, music, food station variety and layout and other amenities (e.g. the cool pinball machines) were the best ever, as was the easy procedure to enter where they validate your ticket while still in line. I don’t remember it as crowded on a Sunday in previous years which is good, more people are attending in general, clearly. A first rate festival that attests to the sophistication and maturity of the beer scene in Toronto but also the savvy and sophistication of the Morana family who run this show to the benefit of all beer fans. 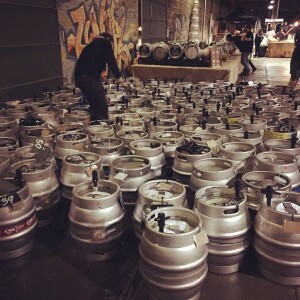 Note re Image: Image is from Cask Days twitter stream received over the past weekend.